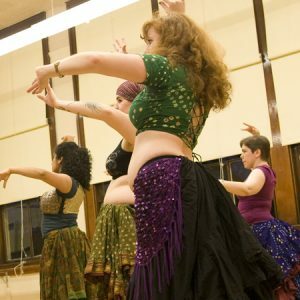 Join us in this fun workshop to learn the basics of bellydance bra decoration and construction. 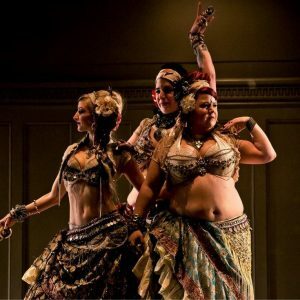 Shay will share some tips and tricks for making a beautiful bellydance bra, including some simple draping and hand-sewing techniques. 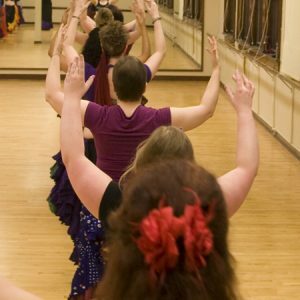 Samples will be on hand to look at in close detail, as well as little slideshow of inspiring examples from dancers around the world. 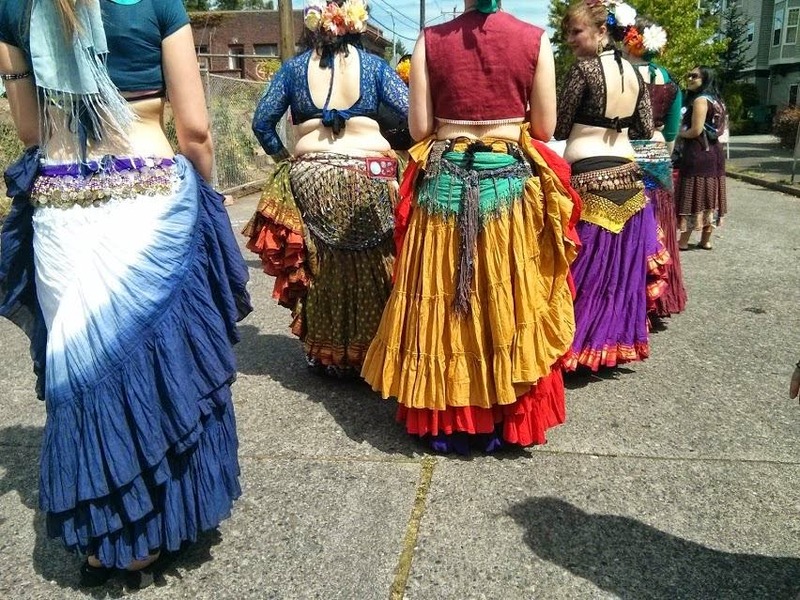 Bonus: Shay will be bringing a big ol’ box fabric scraps left over from her 20 years of costuming, both personally and as a professional costumer. And as part of your workshop fee, YOU get to choose some pieces to take home for your own projects! Brocade, sari, jacquard and more beautiful fabrics will be available. 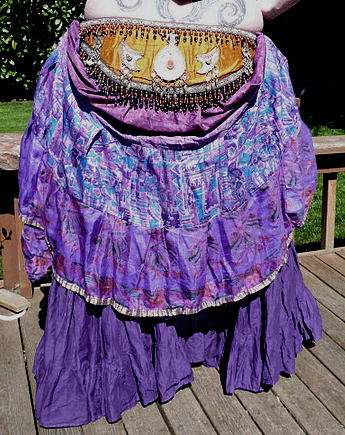 Some other trims and accessory pieces will be available for sale as well for bargain prices. We will spend the first hour discussing and reviewing the foundation steps for decoration, then the second hour will be crafternoon! We will play with fabrics and trims and actually get to do some sewing if you wish. 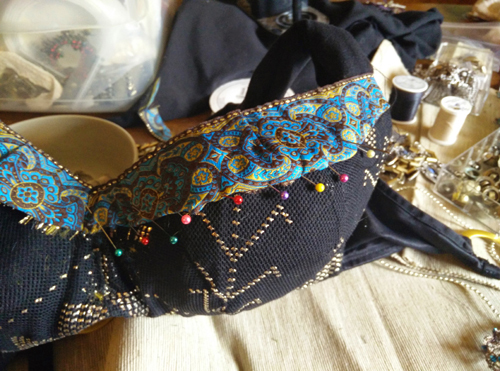 Bring a hard-cup bra in your size, or a size a little bit larger than your own, and any fabrics or trims you may have been putting aside to create a bra of your own, if you want to participate in the sewing portion. 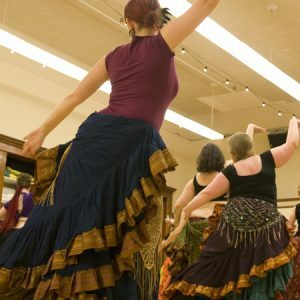 It’s okay if you don’t have these items; you are most welcome to stick around to observe, help your fellow dancer with their projects, eat some snacks, drink, and share in some community time. Feel free to bring a potluck snack or drink to share. It’ll be a fun afternoon learning and creating art together!